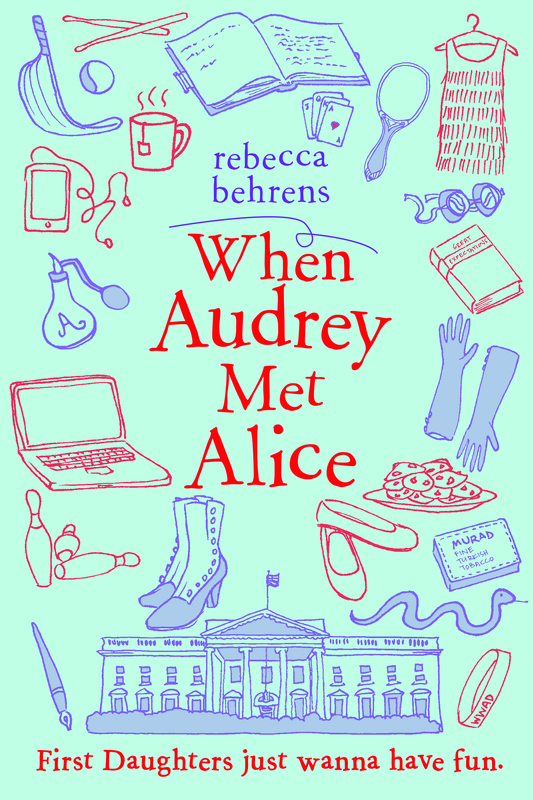 Here is the second installment of the interview with Rebecca Behrens, author of When Audrey Met Alice. In case you missed yesterday’s segment, this just-releaed novel tells the story of first daughter Audrey Rhodes, who discovers the secret diary of Theodore Roosevelt’s teenage daughter Alice in the floorboards of her White House bedroom. The Strawfoot: And your novel’s protagonist, Audrey Lee Rhodes, Tell us about her and her family. Rebecca Behrens: After Audrey’s mother becomes the first female president of the United States, her family relocates from the Twin Cities to Washington. Her father takes on the role of “First Gentleman” as well as maintaining her career in scientific research at a university. Unlike Alice Roosevelt, Audrey is an only child, and a few years younger than Alice was during her time at the White House. But Audrey still forms a real connection with Alice by reading the diary entries—their emotional experiences of living in the White House and being the children of important politicians is similar, despite the century separating them. You visited the Theodore Roosevelt Birthplace with your parents, both of whom knew a fair amount about the twenty-sixth president. Did they inspire your interest in history? Absolutely! I was very lucky to be raised by two history-loving parents. We were also a family that enjoyed travel, and our road trips always included stops at historic sites. 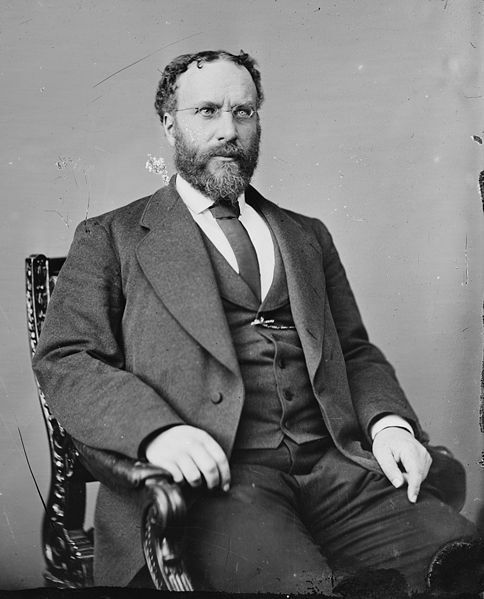 Specifically, interest in Theodore Roosevelt runs in my family—my great-grandfather was present at the famous speech TR gave in Milwaukee, Wisconsin, right after having been shot in an assassination attempt. My father has done a lot of reading and independent research on the Roosevelts (and has visited almost all of the Roosevelt NPS and NHS sites, from the Inaugural Site in Buffalo to Sagamore Hill on Long Island to Theodore Roosevelt National Park in North Dakota). I first learned about Alice from my dad’s Roosevelt stories. I found her fascinating and decided I needed to find a way to write about her, one day. What other historic sites, especially Roosevelt sites, have you visited? 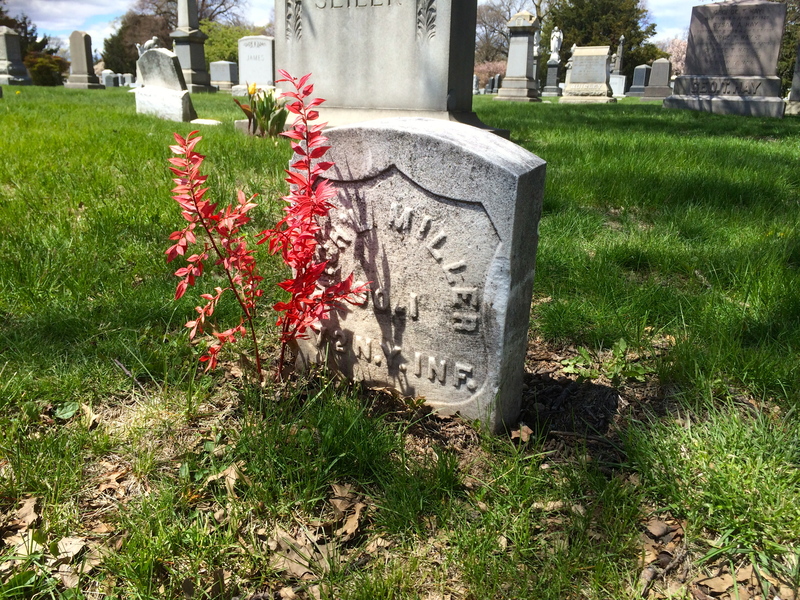 I’ve visited Sagamore Hill and Youngs Memorial Cemetery in Oyster Bay, and I’ve spent time in Washington, DC, although I need to look up Alice’s house there. 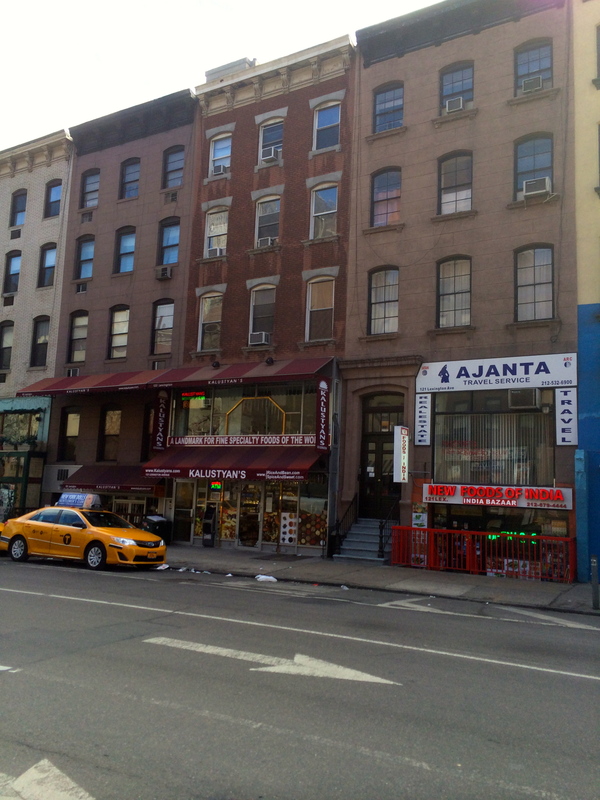 I also unknowingly visited where Alice’s Auntie Bye (TR’s sister Bamie/Anna Roosevelt Cowles) lived in New York City, at what once was 689 Madison Ave and 62nd Street. It was while I taking a walk and stopped for a break at that very intersection that I came up with the initial idea for the plot of When Audrey Met Alice. Later I found out that not only was that a Roosevelt family site, but Alice spent a fair amount of time there as a young person. Weird! You are a children’s book editor. What advice might you have for aspiring writers? I think that the most important qualities you need to be a writer are patience, dedication, and curiosity. 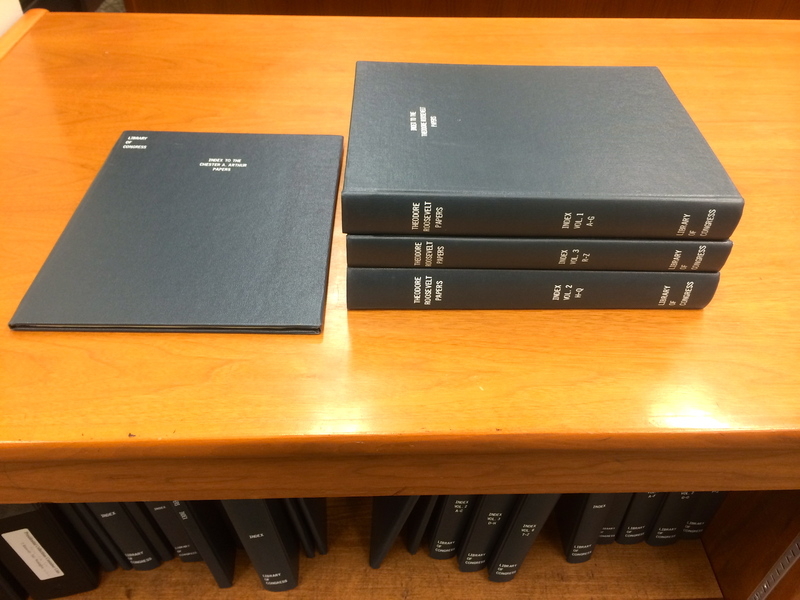 Writing and publishing a book is a wonderful experience—but it’s also a long haul! Curiosity can lead you to a great concept, dedication is necessary to see it through, and patience is essential because writing is often slow, at all stages of the publishing process. I’m not a historian, so I had to work hard to try to do this setting and subject justice. But because I found the subject so fascinating, it was easy to keep trying. Did your recent trip to the White House live up to expectations? Absolutely! It was thrilling to be there in person. Looking out toward the Washington Monument from the inside of the South Lawn was a surreal, fantastic moment. My visit was also very useful in terms of improving the factual accuracy of my book. I got to experience visitor security firsthand, understand the scope of the space (I expected the lawn to feel larger and more exposed than it does), and soak up sensory details—like how the grounds smell and what ambient noise is around. Where can people go to find out more about When Audrey Met Alice? There is more information about the book as well as links to resources like an educator’s guide and an annotated version of Alice’s diary on my website, www.rebeccabehrens.com. Early this spring children’s book editor and first time author Rebecca Behrens visited the Theodore Roosevelt Birthplace National Historic Site. After the house tour she introduced herself and told me about her first novel. When Audrey Met Alice. I read the book recently and enjoyed it a great deal. Here is the first of a two part interview. The Strawfoot: Your new book, When Audrey Met Alice, tells the story of Audrey Rhodes and her experiences as first daughter. What inspired you to write the novel? Rebecca Behrens: The White House seems like such a serious, powerful place—but it’s both a historic site and a home, one where first kids can have tea parties, build tree houses, and play hide-and-seek. When I made that connection as a kid, after seeing photographs of the Kennedy children playing in the Oval Office, I became fascinated by the idea of families in the White House. After President Obama was elected in 2008, I wondered how the lives of his daughters would change as they headed to Washington. I imagined that there would be a lot of wonderful and exciting opportunities for them in the coming years—and probably some hardships, too. The idea of a “first daughter” feeling a little isolated and constrained stuck with me, and soon developed into Audrey’s character. Audrey is thirteen and discovers the fictional diary of the very real Alice Roosevelt in the floorboards of her closet in the Yellow Bedroom. Alice was also a teenage first daughter, or FIDO. How did you research and write the diary? Much of my research was done the old-fashioned way: heading to the public library and checking out lots and lots of books on Alice Roosevelt and White House life. I used many online resources, including official White House websites, the White House Historical Association, National Parks Service sites, newspaper archives, and unofficial pages that detail White House history. I also read fiction set around Alice’s time to get a feel for how language was used. And I looked up a lot of words in etymology dictionaries to try to figure out if they were ones Alice Roosevelt and her family might have used. To write the diary entries, I started by making a timeline of events and experiences during the real Alice’s life. Then I retold them in the fictional Alice’s voice. Occasionally, I even worked in a real quote from Alice or her father. Alice was a teenager more than a century ago and yet her experiences were similar to young people’s of every generation, minus the White House bit. What advice do you think she might give to twenty-first century teens? 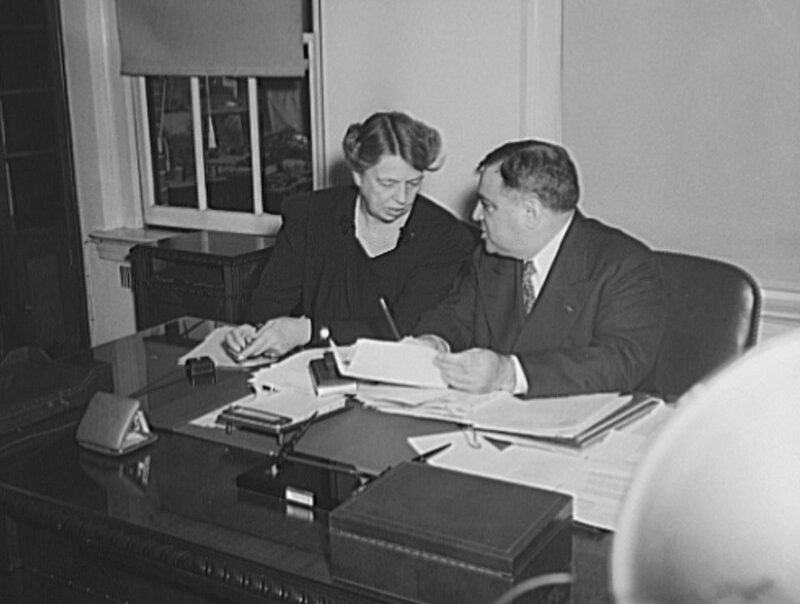 While researching Alice’s White House years, I was really struck by how universal many of her experiences and concerns were. I wasn’t expecting that! She worried about her looks, her friends, and her future—just like girls who weren’t the daughter of the president, and girls today. What made Alice very unique, though, was her brave (and, at the time, pretty unconventional) commitment to living authentically. She embraced the idea of doing things differently and being true to herself—even if that ruffled some feathers. I think her famous phrase, “eat up the world!” is a great message for teens today. There were no paparazzi as we know them today during Alice’s time but in many ways she was one of the original modern celebrities. Describe the world she lived in. 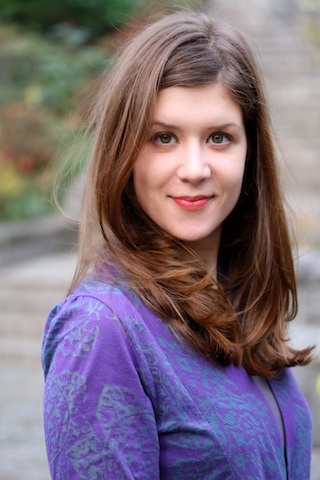 There is a great line from one of Alice’s interviews: “Woe betide the girl who emerged from the conservatory at a dance with her hair slightly disheveled. 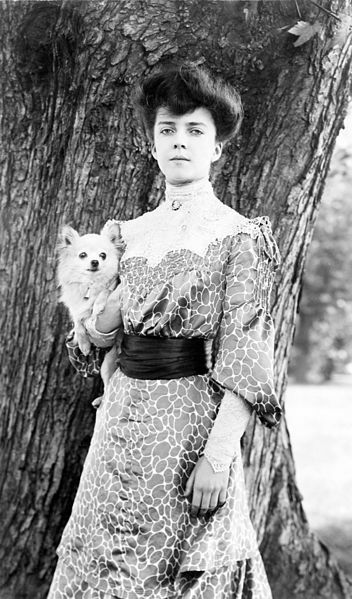 As one’s hair tended to fall down at the best of times it was frightfully difficult trying to keep up appearances.” (Mrs. L: Conversations with Alice Roosevelt Longworth by Michael Teague, p. 66) Girls in her time period were subject to intense scrutiny about their appearances and activities. It’s interesting that while famous people today are subject to invasive paparazzi and a huge amount of attention online, there is much more protection for the first family’s privacy. The media has an unofficial agreement to not report on the first daughters outside of official events and appearances. Alice, however, had “camera fiends” appearing on the White House doorstep to take her picture. Enormous crowds showed up at her public appearances. Newspapers reported breathlessly about her activities, including her dating life. And they reported a fair number of lies: like false stories about her getting engaged or dancing on a roof in her undergarments. I received a group email message from one of the supervisory rangers at Governors Island yesterday asking about volunteers’ summer availability and the like. The season begins in just four short weeks, on Memorial Day Weekend. One of the big changes at Governors Island this year is that the island will be open seven days a week. This is a change from the Saturday/Sunday operation of the past few years. Also, the city has re-opened thirty acres of the portion of the island managed locally. 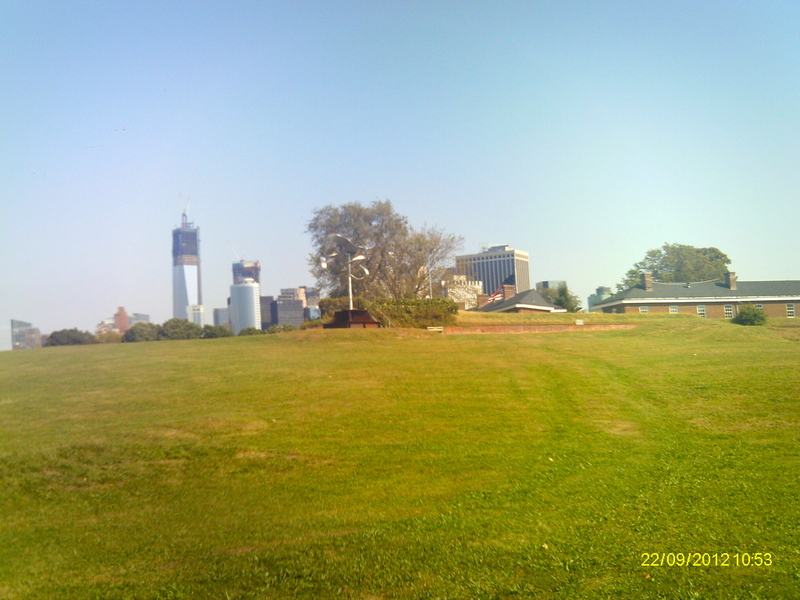 Governors Island is 172 acres, with 22 of that managed by the NPS. Last summer was fairly quiet because so much of the southern portion of the island was under repair due both to Superstorm Sandy and the longterm plans of the Trust for Governors Island. The re-opened thirty acres is new park land. I myself will be splitting my time between Governors Island and the TRB, alternating back and forth each weekend. My first day is going to be June 1. There are many interpretive opportunities I will be pursuing with a great deal of overlap between the two sites. It really is going to be a great summer. 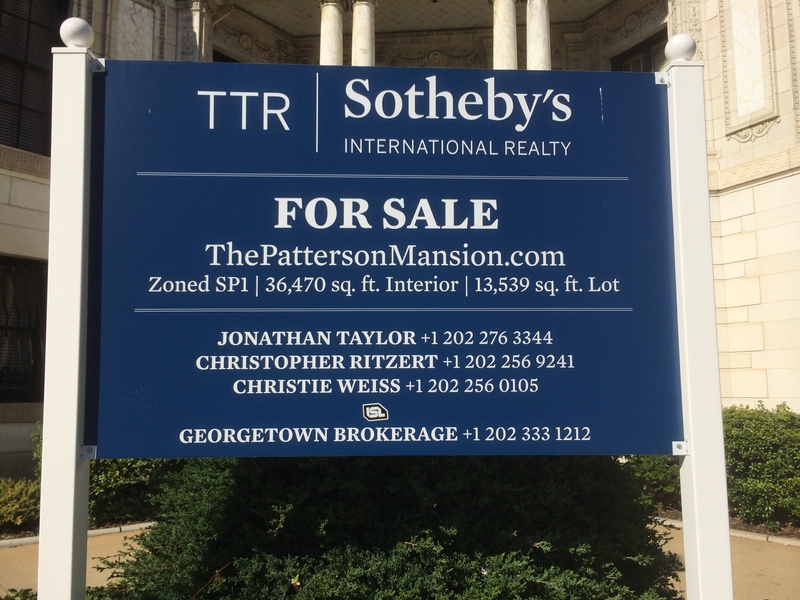 I was on DuPont Circle on my way to meet the Hayfoot for dinner the other night when, to my great shock, I noticed that the Patterson Mansion is on the selling block. 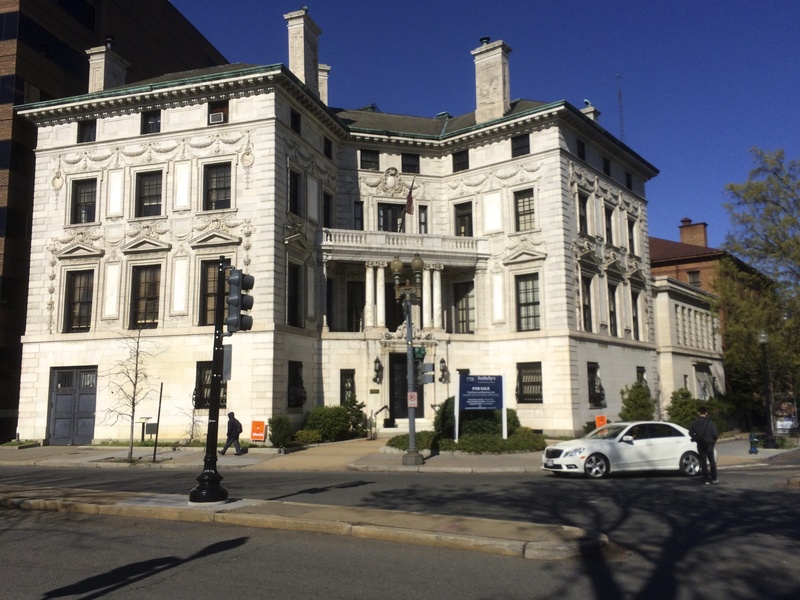 The mansion has been the home of the Washington Club for the past several decades. Apparently the cost of upkeep along with the prospect of a big payout proved too much to resist for the members of the women’s club. And who can blame them? They stand to make $25-$30 million. 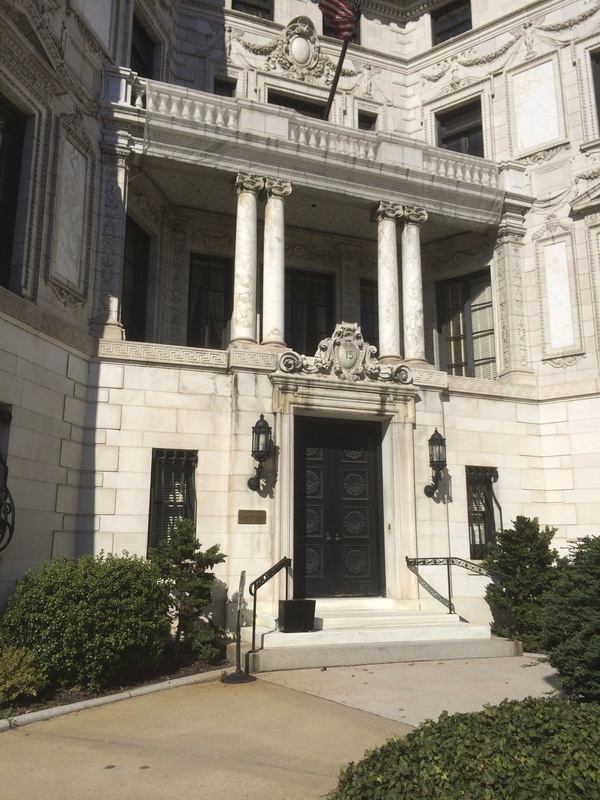 Robert and Elinor (Nellie) Patterson built the home at the turn of the twentieth century when DuPont Circle was transforming into the hub of political and social life in the capitol. Stanford White was the architect. In the decade and a half prior to the Great War a great deal of diplomatic work was carried out in houses like this one in settings formal, informal, and semi-formal. I guess it should not be surprising, but I did not know that Sotheby’s sold real estate. 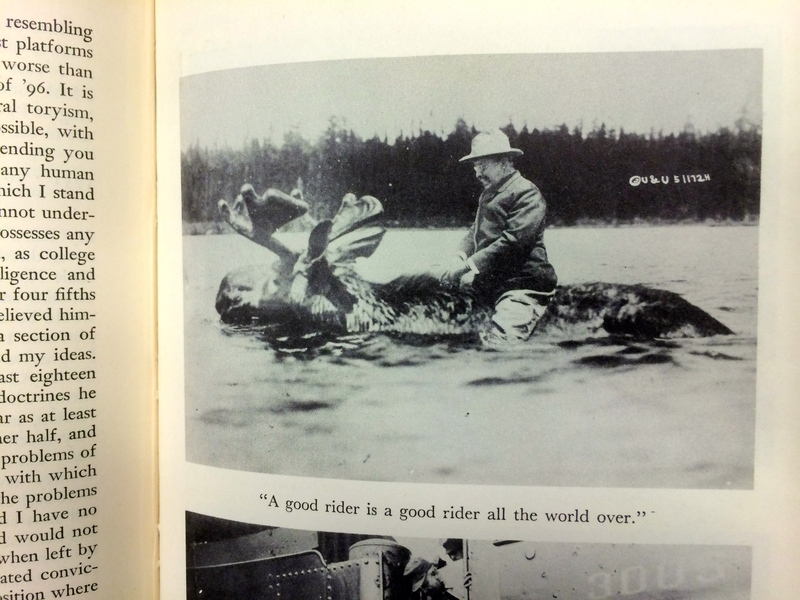 I was in the Manuscript Division at the Library of Congress earlier today looking at the Theodore Roosevelt Papers when I came across something fun. It was a letter that Theodore had written to his father’s brother, Robert Roosevelt. What was so neat about it was that the letter was of the “catch up” variety. Theodore, though now president, was sending off a quick missive the way one does with family. Today it would have been an email. Theodore Roosevelt wrote well over 100,000 letters in his lifetime to people of all walks of life. Some of the letters Roosevelt wrote to his children over the years were written with the idea that they would be published some day. And indeed some of them were. The diaries of political figures are often written in this same way. Roosevelt quick note, which he sent off in 1902 less than a year after becoming president if I remember correctly, was not in that spirit. It was just a note to “Uncle Bob” saying they would all have to get together and catch up when they all had the time. Coming across the letter 112 years was a brief break in the day. When I got home this rainy evening I found a check in the mail. It was payment from a publisher for an encyclopedia article I had written 1 1/2 years ago. It totaled $12.50. I have written about a dozen such articles over the past 2-3 years to build my resume and improve my writing chops. Usually these projects are 1,000 words. My great friend Charles Hirsch always told me that these were great projects because they teach you how to write to spec. As usual he was correct. If it is for a non-profit publication, which a few of them have been, I usually forgo the symbolic payment. Still I figure for the ones published by a publishing house I might as well take the cash. I have already told the Hayfoot that the burgers and fries will be on me this weekend. The other day I was doing a bibliographic instruction session with an English literature class when we digressed into a brief discussion about late night talk shows. I mentioned that when Jimmy Fallon became host of The Tonight Show he changed the subtitle to Starring Jimmy Fallon. The preposition is important. When Leno took over in 1992 he called it The Tonight Show with Jay Leno. Conan O’Brien kept the “with” as well. Without drawing much attention to it Leno and O’Brien were paying tribute to their predecessor. 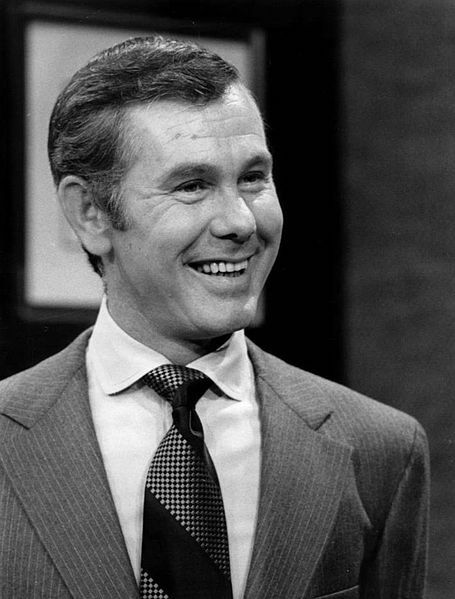 For three decades it was always The Tonight Show Starring Johnny Carson. The class, most of whom were not born when Carson went off the air in May 1992, grasped my point. I am sure Jimmy Fallon will do a good job hosting Tonight and I don’t care what he calls his show. I just found the title change curious and was wondering how and why the decision was made to go back to the show name as it was from 1962-1992. Carson was on my mind because I had just finished Henry Bushkin’s memoir of his years as the talk show host’s attorney, tennis partner, and all-around fixer. Bushkin’s story, good as it is, does not change the basic outline of the Carson story. Everyone knew he was a mean drunk, cold with his three sons & four wives, and increasingly demanding and petty as the years went by. When Carson died after a few months illness he was virtually alone. There was no funeral. Still the details make for startling reading. It is all the more jarring because the Bombastic Bushkin–whom Carson fired after nearly twenty years service–seems to have no ax to grind. All memoirs, especially tell all memoirs, are self-servicing but Bushkin’s story seemed for the most part a credible read. What was so amazing was the way he could turn it off and on when the studio light went on and curtain parted. My theory about people like Carson is that they have only a finite amount of energy with which to use their talents. Sinatra was much the same way. On stage with a microphone he was fine as long as he stuck to the songs and spared the audience his cringe inducing monologues. Both men could also be charming and generous, albeit on their own terms. Always though, one never knew when the hammer might fall. And when it did . . . Forced to choose between family and career many of the most talented individuals choose the latter. It is part of their greatness. We think it is easy because they make it look so. The reason Carson will always be my favorite of the late night hosts was the way he conducted the show irony free. One of the wort trends in our culture today is the unrelenting irony and the arch “knowingness” that many seem to employ. Sincerity and genuine curiosity seem to have gotten lost. It is one of the worst aspects of our contemporary culture.